DART is the easiest way for family and friends to travel to the 2015 State Fair of Texas. DART Rail and Trinity Railway Express (TRE) passengers can simply transfer to Green Line trains showing “Fair Park,” “Buckner” or “Lawnview” and ride to the front door from Sept. 25 through Oct. 18. The two Green Line stations for fair attendees are Fair Park, located on Parry Avenue at the entrance to the fairgrounds, and MLK, Jr., located south of R.B. Cullum Boulevard and convenient to the Gate 6 entrance and the Cotton Bowl stadium. Extra Green Line trains will be available approximately every 15 minutes between Victory and Lawnview stations from 9:30 a.m. to 3:30 p.m. weekdays and 9:30 a.m. to 7:30 p.m. on weekends. Save time and hassle by buying your transit passes and State Fair of Texas general admission tickets on DART’s GoPass app! If you don’t already have GoPass, download it from your app store. Follow the instructions setting up your account and visitgopass.biz for any questions or for more information about how it works. • Existing GoPass users, please make sure your app is updated to the latest version. Open up the app and select Buy Tickets. Select Special Events (it should be at the bottom of the list). Finally, selectState Fair and you’ll reach the screen to select how many and what types of State Fair general admission and transit tickets you’d like to buy. Have fun, be safe and enjoy the State Fair of Texas and DART. 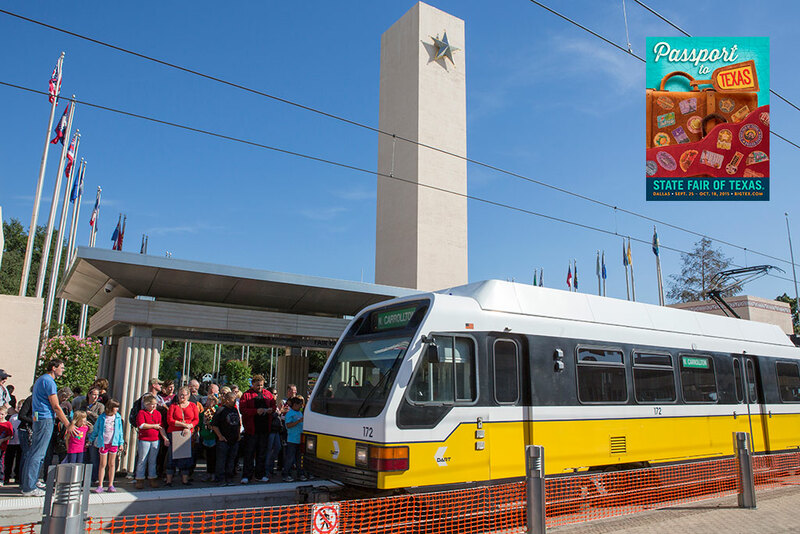 Follow us on Twitter at @dartmedia and @dartalerts and call us anytime at 214-979-1111 with questions about our service to the State Fair of Texas.